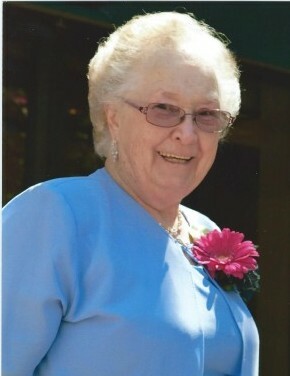 Betty Lucille (Cochran) Klaiber died peacefully in Grand Junction, CO on February 11, 2019 at the age of 81. Betty is survived by her four children, Roberta (Shawn) Cadden of Grand Junction, CO, Brenda (Mark) Wareham of Bradford, PA, Brent (Laurie) Klaiber of Colorado Springs, CO and Betsy (Allen) Parry of Altonah, UT; Brothers, Donald (Nancy) Cochran of Oveido, FL, Robert (Nancy) Cochran of Apopka, FL and Mick (Linda) Cochran of Deltona, FL; Sisters Sandy (Pete) Corriveau of Kane, PA and Winifred (Jr.) Gaston of Marienville, PA; 21 Grandchildren, 30 Great Grandchildren and several nieces and nephews. She was preceded in death by her spouse Robert Klaiber, her parents Clayton and Anna Cochran and a granddaughter Deirdre Markert. A funeral is scheduled for Friday, February 15, 2019 at the Church of Jesus Christ of Latter-Day Saints Chapel at 2542 G Road. A viewing will be that day, from 9:00 AM to 10:45 AM with a service at 11:00AM. All are welcome to attend and celebrate Betty’s life. Betty will then be flown to Kane, PA with internment at St. Callistus Cemetery next to her husband. In Lieu of flowers contributions can be made to HopeWest Hospice 3090 N. 12th Street Grand Junction, CO 81506.